THE MARTINI CHRONICLES: Divas' Holiday Wish List....An At-Home Gel Manicure Kit! 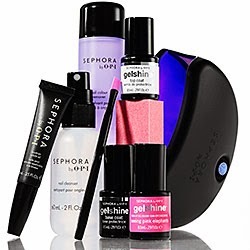 Divas' Holiday Wish List....An At-Home Gel Manicure Kit! Do you know what day it is!? 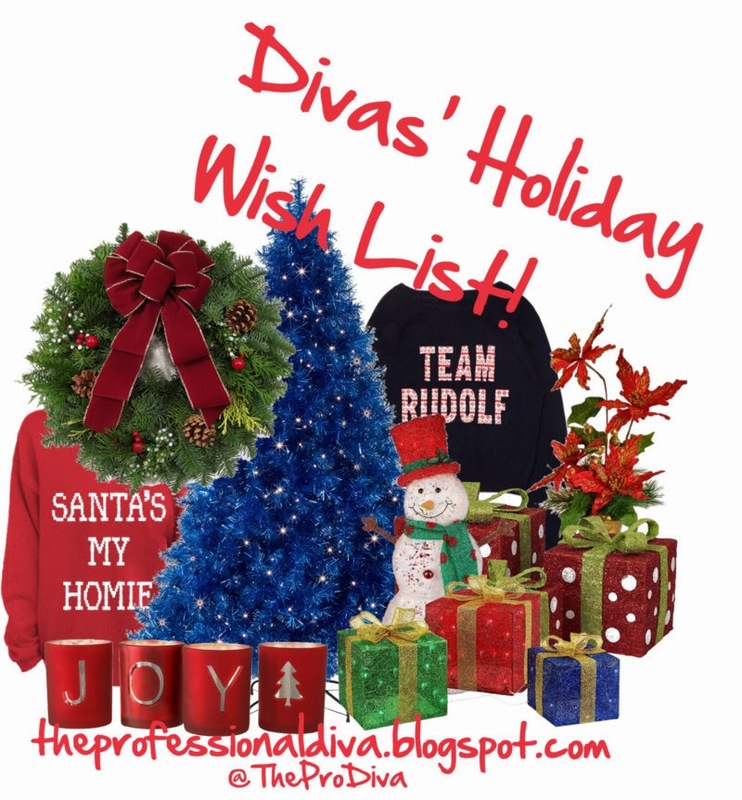 It's Day 3 of our Diva's Holiday Wish List series, and I really think you're going to like this idea. One of the things that I have in common with a great majority of my female colleagues is that we are big fans of the gel manicure. As many of you may know, a gel manicure is more desirable than a traditional manicure for two very important reasons: (1) the nail color lasts up to two weeks without chipping; and (2) getting one is quick, as the curing process ensures that your polish is completely dry within minutes. Given the fact that many of us are typically short on time, the gel manicure is a godsend! While the gel manicure is awesome, it is also a bit more expensive than traditional manicures. And you also have to carve out time to regularly visit the nail salon, which may be a chore for some of you busier Divas. Wouldn't a do-it-yourself option be nice? In walks my next gift idea! Why not try an at-home gel manicure kit! There are so many different options on the market that one brand is sure to meet your needs. Some are complete kits that include the LED lamp and nail color. Others require you to purchase the LED lamp and/or nail color separately. In any event, having an at-home gel manicure kit on hand can save you some money (you won't have to spend money at the nail salon every two weeks), and you can choose the time to do your nails at your convenience (instead of rushing to the nail salon before it closes). Now by no means am I saying that the at-home gel manicure kit should completely replace your nail salon visits; my suggestion is to hit the salon after 3 at-home applications (about every 6 weeks as opposed to every 2 weeks). Why? Because you work hard and you still deserve to relax and let someone else do your nails and pamper you! And it may be a good idea to let a professional treat your nails every now and again. Whichever option you choose, please be sure to do your research and check out some reviews before purchasing. You want to make sure you select the kit that is best for you. And remember, you get what you pay for, if you know what I mean...and I think you do! Perfect For: Divas who like to wear gel nail color and who are looking to save some money by minimizing the amount of trips to the nail salon. Also good for Divas who are often short on time. Where to Find It: Search using your favorite search engine to find the brand you want at a great price. And there are always coupons available. And here we are again! Divas...weigh in! What do you think of the at-home gel manicure kit as a gift item for yourself? For a friend? Do you have one? If so, what do you think? Share!! !